The Sleep Shepherd is a wearable, all natural sleeping aid. It’s a cap that uses a faint audio signal to lull you to sleep, and monitors your brain activity to help keep you there. The audio signals create a reaction that the Founder calls the “virtual hammock effect.” The hat emits precise tones into your ears that mimic a sound swaying back and forth. As your brain deciphers the difference in frequency coming from either ear, this creates the effect of a slow rhythm. Your brain starts to follow that and slows down, and the Sleep Shepherd automatically adjusts the individual tones using a biofeedback loop. Throughout the night, if you wake up or your brain starts ramping up again, the Sleep Shepherd responds. It reintroduces the tone to slow down your mind and keep you snoozing. 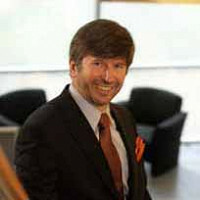 Sleep is a subject that kept Founder Dr. Michael Larson, Ph. D from MIT, awake from time to time. His daughter suffers from narcolepsy, and her prescription drugs often kept her awake for hours. He wanted a drug-free way to help her fall asleep. The Sleep Shepherd is made with lightweight, breathable fabric that’s audio-conductive. That means no earphones or buds to plug into your ears, and you won’t get too hot wearing it. Admittedly, it’s not something you’d wear in public, but hey, you look kind of silly when you are sound asleep, too. Which you will be. Hello everyone! I'm proud to introduce the Sleep Shepherd to The Grommet. I'd be happy to answer any questions you have! Why is this something people who have trouble sleeping should get over another sleep solution alternative? I believe our cost to reward benefit is so much better than any option currently on the market. The Sleep Shepherd is an all-natural alternative that works with your brain instead of against it. There’s no risk of chemical dependency like there is for prescription sleep drugs. Even other ‘natural’ solutions have been shown to breed dependence (looking at you melatonin). @Joe Melatonin or tryptophan, or any "helpful non-drug advice" from a non-chronic insomniac never helped me. For some reason none of the benzodiazepine family, nor Serzone (now off the market), work for me, and some of them kept me from sleep, Serzone being the worst. If I told that pdoc that Serzone was making it harder for me to sleep, and it was for depression with an insomnia component, not for an insomniac with depression. All he did was to increase the dosage. When my knees started buckling because my body was so tired, I fired him, since listening didn't seem to be one of his skills. I've been with my current pdoc for 14 years--she's great. Some of my issues are purely physical and not quite related. Yes, my husband's snoring was painfully contributing to being unable to get to sleep, or to stay asleep. We determined that the ewwcalyptus pollen was largely to blame, and any time we switched housing, we checked that there were none of them within sight. Now, it's just seasonal allergies that make him, and me now, snore. Working with my internist on improving my allergy abatement, specifcally PND and dried caked nostrils. Currently, I have a long spa "heat wrap" from Sonoma Lavender, which I call my "sleep snake". Bought it years ago at a garden show. Longer than any eye pillow, and without elastic to help bring on a headache from the binding, it's flexible and great for shutting out light and a bit of sound (important with many migraines), and I've used it at the dentist for those needs as well! I drape it over my head--I'm a side sleeper--helping with relieving migraines and often helps me down to sleep: weight-activated sleeping infers that in a room that is too hot, I don't sleep well at all. Your product seems to help get to delta-wave sleep, which I can seldom achieve. I will have to save up for this hat--and getting used to something on my head--tactile gain on my skin is at 11, and I tend to sweat a lot, so psychologically overcoming this will be interesting. I do not have sleep apnea, but what I do seem to have is Irregular Sleep–Wake Rhythm. At this point, caffeine or the lack thereof, doesn't seem to affect me, but I try to avoid it (blood pressure). White noise machines make me itch to turn them off, because of my mother's warnings about wasting electricity, and they actually do irritate me. It also counters the issue of trying to sleep with recordings of surf--there won't be a loud click, as in an endless play, the whole chemical issue, the dependence--I hope you will be able to get this classified as a medical device. From what you've said, it will deal with two items on the Sleep Hygiene list: electronic in the bedroom and reading in bed. My phone IS my alarm clock, battery operated clocks tick. The Sleep Shepherd negates the "no reading in bed" bit. Reading in bed--and not something upsetting--helps me unwind. Oh, sometimes I read through the night when the book's really absorbing, not just because I can't sleep. The bed is my most comfortable place to read, as I am short, and upholstered furniture generally doesn't fit my short legs. Are you in touch with the Sleep Clinic at Stanford, formerly run by Dr. William Dement? You know, I'm sure, that it is one of the premier sleep centers in the world. There are also insomniacs' sites you might look into.The American Psychiatry Association might be receptive, given how many of us with various psychiatric illnesses have sleep issues, and adding more medications which might interfere with what we're already taking. Thank you--I look forward to trying your product. Thank you so much for the comment, A. Marina! I truly hope you find success with Sleep Shepherd! Was this a problem you were equipped to solve? How much research went into the development of this product? While the background of most of the individuals on our team is Mechanical Engineering, I purposefully composed a team of diverse problem solvers to look for ideas the experts have glossed over years ago. We essentially started at the beginning, looking for effects that are well known and studied. We found a devoted group of binaural beat enthusiasts and began to look more into the actual science behind this phenomenon. When we found that this topic has actually been well studied and confirmed, we asked ourselves, “What’s missing?” It seemed clear to us that the missing link was a suitable medium for administering the tones with a biofeedback component that would enhance the usability of this science. This is where our engineering side kicked in and we started to delve into non-invasive EEG sensing technology. After over a year of research a development, it all came together into what we now call the Sleep Shepherd. The Sleep Shepherd is hand wash only (everything can get wet, but the electronics should not be submerged in water). We recommend a baseball cap cleaning solution (LIDS makes a great one) with a wet rag. We also use a steamer in house to remove wrinkles and keep things fresh. 1. does it work for people with ADHD? 2. and is it washable? 1.Although the Sleep Shepherd does not make any medical claims to treat ADHD, many of our customers do suffer from these symptoms and we have seen a lot of success with this demographic. The basic science behind the Sleep Shepherd (binaural beats) has previously been used specifically for treating patients with ADHD. A quick google search of 'binaural beats and ADHD' will bring up quite a few scholarly articles on the subject. What we do differently, is adding the biofeedback aspect so that our binaural beats are customized to your current brainwave state at any given moment- helping the brain slow down in a natural way. 2. The Sleep Shepherd is hand wash only (everything can get wet, but the electronics should not be submerged in water). We recommend a baseball cap cleaning solution (LIDS makes a great one) with a wet rag. We also use a steamer in house to remove wrinkles and keep things fresh. @Joe My main problem for not being able to sleep is pain from back issues, such as spinal stenosis, sciatica, and multiple herniated disc. So will this help one to be able to sleep even though one is having constant pain issues. @Joe, I'm also interested in what you have to say about this. I'd do anything to get a good nights sleep :) thanks! I have woken up in the middle of the night for years and this is the first product I have ever seen that can automatically help you go back to sleep! Brilliant!! does it work on an airplane in a sitting position? The hat can tell when you're in an upright position. The brainwave monitoring still works the same, but our motion detection responds to the change in access to be less sensitive so the tones don't come back on and wake you up when your head jostles from side to side (like during turbulence). @Jenny this is my question too. Traveling overseas next month and wonder how it'll work on a plane? And, is this battery operated? Will the hat work to create a new permanent pattern (as in retraining the brain) or will the hat need to be worn any time you can't fall sleep? In other words, does it treat the symptom or work as a tool to cure it? And...does it come in sizes? Hi Valerie, I'll let Joe take the first part, but you can find a sizing guide below! This is a great question! Anecdotally, we have found that many customers do claim to sleep better after using the Sleep Shepherd for a few months (even when they aren't wearing it). This makes sense just from a classic conditioning perspective (think Pavlov's dogs). It seems for many users, as the brain gets used to the process of slowing down before bed, their dependence on the hat decreases (the opposite effect of most sleep aids). We have gotten this feedback so often, we are currently in the process of obtaining an IRB at a local university to study this phenomenon in a more controlled, scientific setting. @Joe ...I would love to be a part of THAT IRB!!! Additional thought....can you please comment about the actually area where the electronics are....I'm a side sleeper so I'm wondering are the two electronic areas "soft" or "hard" ? I'm concerned if they are hard or dense in any way it might hurt to sleep on them (on my side)....thanks! Hi Valerie, side sleepers unite! I am one as well and when I tested it there was no discomfort. The sensors are padded on each ear so you are not laying on a hard surface. Can you please provided a reference for a peer-reviewed journal article demonstrating validation of this device and its effect on sleep? Thank you. @Kristen I am also interested in this. Excellent question, which hopefully has not been overlooked in a response since subsequent questions have been since answered. Excellent question indeed! The basic science behind the Sleep Shepherd (binaural beats) has been around for decades and is well studied. We have links to several peer-reviewed articles detailing the efficacy of this technology on our website. You can find them here, here, and here. These articles details both the effect of these tones on live EEG readings, as well as a specific study showing the effect on elite athletes sleep and athletic performance using these tones. The Sleep Shepherd adds a biofeedback aspect to this proven technology. I am interested in purchasing this, but when I get the screen, it has S, M,L, but I don't see a description on how to decide which size if for you. Hi Dawn, this handy image should help! @Mike Thank you very much! It certainly wouldn't be the first time it's been suggested. However, the cost associated with the Sleep Shepherd comes primarily from the electronics incorporated into the hat. 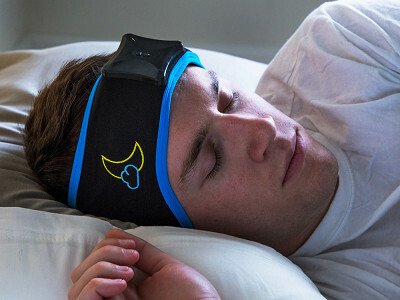 The Sleep Shepherd is actually monitoring your brainwaves throughout the night. This is not easy to do (or cheap to do), but we have seen for over 1500 customers to date that this innovative approach is well worth the upfront investment to get a great night's sleep. @Michael if you think it's too expensive, don't buy it and move on. Before we start getting into an argumentative back and forth, this is a place where opinions can be shared (respectfully of course) by anyone. Also, you may have inadvertently asked. It was kind of open ended. @Michael - you are too rude, why not stay off this site? Would this be helpful for sufferers of tinnitus/Menieres Disease? I have to use a box fan to 'cancel' noise and prescription meds so I can escape the chaos in my head! Yes...same question as Diane's....my husband has terrible tinnitus as well, and needs the fan on to override the ringing in his ears to sleep. Although the Sleep Shepherd does not make any medical claims to cure tinnitus, we have seen many customers with mild tinnitus benefit from the Sleep Shepherd (many refer to it as personalized white noise). As you know, tinnitus symptoms vary drastically from person to person, however. @Joe we know there is no cure for tinnitus, yet but how do you define MILD? I have had it for years and it sounds like 10,000 cicada in both my ears. Hi Jerry, the volume and frequency varies. I think Joe is referring to a sensation that is not as extreme on the spectrum. @Mike I also use a fan at night to help me with my tinnitus, so I would like to know if this works for anyone, because it gets kind of cold in the winter with my fan on. But from all the ones who suffer from this, they know.. it's that or NO sleep..
Hi Rita, keep an eye on our product reviews in the coming days if you want some testimonials before pulling the purchase trigger. Hopefully it is the solution you're looking for! Sorry. I do not want to sleep with a hat on. I use a white noise machine right near my head. Soothing soft sound of nothing. I sleep like a baby. I hear nothing else in my environment. it would not work if i had children i needed to hear during the night. And talk about a bad hair day---with a hat on all night what i would have in the morning is smashed potatoes. And soooooooooo pricey. Sleeping with a hat on can be a big adjustment. In general, the Sleep Shepherd is not for those who don't have any troubles sleeping (it sounds like the noise machine is perfect for you- we love any drug-free alternative to getting a great night's sleep). The Sleep Shepherd is for those who haven't found any solution or who are looking for a way to maximize the time they have available for sleep. -The tones shut off once you have fallen asleep (ready to come back on if need be). A loud abrupt noise like a crying baby or alarm can be heard easily. - Bad hair days certainly are a risk (one we think is better than the risk of chemical dependency, but still a risk). We suggest if you do have longer hair, pulling it back into a pseduo pony tail (with the band outside the hat). Thank you for checking out the Sleep Shepherd and we hope you continue to sleep well! @Ellen - as above, so don't buy it and move on. How are your comments useful? You may sleep more like a log--babies wake up a few times during the night, and are fussy and cry until they get whatever need is, met. I don't think you sleep quite like that, although I truly envy the way you can sleep! Has it been tested on menopausal women who have nightly hot flashes that keep them awake for hours? I can't imagine it not making an already hot head that drips sweat moe comfortable. @kathleen Off subject, but I wanted to tell you about what totally eliminated hot flashes for me. Vitamin E!! I take one a day and never have hot flashes anymore since the 1st week I started. If you miss even one day, they will start again, but other than that it really worked for me. Good luck! I will be the first to admit I am not an expert on the effects of menopause, however I can tell you I also get really hot at night. Overheating was one of our primary engineering challenges. This is why we selected a material that breathes well and wicks away moisture (unlike wool, cotton or even polyester). Our fabric blend is very similar to what Nike dri-fit and Under Armour use in their hot weather gear. I can tell you my mom loves her Sleep Shepherd (and she is an expert on menopausal hot flashes). @Joe Vitamin E hasn't worked for me. Hi. I'm deaf - well 80% deaf in one ear. Would this negate the effect? Unfortunately, being deaf in one ear will negate this effect as the phenomenon is dependent on hearing a different frequency going into each ear. We are currently incorporating individual volume control into our next version however, so keep a look out! Being a toss & turn sleeper, I would be concerned about the hat slipping off during the night. Will it stay on despite movement? Hi Molly, as long as you have the correct size (which you can find above), it has a snug feel that won't fall off! How would this work on a person with Dementia that won't go to sleep and talks to herself for over 4 hours before falling asleep? The Sleep Shepherd has not been tested specifically on those with Dementia. However, the binaural effect is present in any individual with hearing in both ears and and a healthy auditory center. Basically, if someone can hear and detect what direction a sound is coming from, the effect will be present. However, whether this effect can overcome other ailments can only be assessed on a case by case basis. Hi, Joe! This looks like a great solution to the problem of not being able to get to sleep and actually staying asleep. I have the same question as Barbara, I also suffer from chronic back pain and I'm also curious to know if your cap can help even when dealing with pain. I've heard that binaural beats can be useful for getting through to that part of the brain but I'd like to ask an expert like you for your opinion:) thanks! The comment above addresses this topic a bit. You are correct that binaural beats have been used to treat chronic pain. We find the effect is most beneficial when the tones are the 'dominating stimuli' (if you're watching t.v., talking to someone, or reading an interesting book, the hat won't knock you out). The nice part is the effect is actually occurring INSIDE your brain stem so it's working regardless of what else is going on in your body (whether or not the effect will overcome the chronic pain stimuli is a case by case basis). Have you done any research on negative effects to the signals/waves that are being admitted around someone's head (ie. similar to cell phone studies)? We have certainly looked into this. Unlike cell phones, the Sleep Shepherd does not emit any cellular, bluetooth or RF signals. The hat measures your brainwaves through conductive pads on your forehead and ears that are wired directly to our chip (no wireless signals sent). The Sleep Shepherd passes all FCC and CE regulations for consumer electronics. I was wondering what kind of research demonstrates that this alters sleep quality and quantity? I like the research focus that went into designing this, but do you have clinical studies to demonstrate effectiveness? If not, I would love to help out, as I am a circadian rhythms researcher working at a university, and we could work together to test this! The basic science of the Sleep Shepherd has been well studied on the efficacy of sleep latency and quality (a couple of articles are on our website). We are always anxious to gather more research however, please contact me at [email protected], we would love to look into working together! Do you have any data on whether or not this device has proven safe for a man with epilepsy and schizophrenia? Would hate for these beats to trigger either a seizure or acute aural/visual hallucinations. The device has not been specifically tested on individuals with epilepsy and schizophrenia. The hat uses audible tones in each ear in the range of 200-260 Hz, and thus has the general characteristics of other audible tones in this frequency range. I use this wonderful product in the summer heat of California and have never had any issues of overheating. The product utilizes a fantastic, breathable material! This is awesome feedback, Alex! Thank you! Hi Margot, as Joe said above, the brain monitoring will work the same, but the motion detection will be a little different because it will sense you're in an upright position so it will not be as sensitive to jostling. Silly question: How do you wake up since it starts up again if you stir? One gift I gave myself on retirement is never ever again to use an alarm. So ... ? That is a wonderful gift, Judith. Adding that to my holiday wish list. As Joe said above, a loud noise will not go unheard so if you suddenly wake or get up during the night, Sleep Shepherd will help rock you back to sleep. @Mike I think Judith was asking how does one wake up for the day if the cap is designed to keep re-initiating sleep? I have the same question! Although I might *hear* an alarm over the cap (and she does not use an alarm, period), if I am groggy I am wondering if I'd just be lulled back to sleep? This sounds like ana amazing product, but if feasible, a great feature for future designs would be a limiter/timer so that there's an end cycle. Hi Eeiirein, although Sleep Shepherd is great at helping you fall back asleep, you're not going to fall into a perpetual sleep state. The need for you to wake up for the day will trump the efficacy of the hat. The re-initiating sleep is more for middle of the night. Thanks for keeping me above water and taking this one! As Mike mentioned, the effect is very subtle (unlike say ambien or NyQuil). If you consciously wake up, you will hear tones but won't be knocked out immediately (With that being said, I would suggest not laying back down with the hat on after you set off your alarm, you know," just to rest my eyes" - I've made this mistake before). General returns are subject to The Grommet return policy here. I apologize if this has already been asked but can it just provide a calming effect if worn when awake? My work can be stressful and I would totally wear one of these at my desk. The tones do have a general calming effect on most individuals, however this isn't the best use of the Sleep Shepherd since the tones played are based on your actual brainwave state (and is actively trying to put you to sleep). To be honest, you may be better off simply listening to binaural beats in a specific frequency range that you find calming (there's an app for that). If you want to fall asleep fast after work, however, the Sleep Shepherd is for you! Is there any kind of money back program if it doesn't work for the person who buys it? General returns are subject to The Grommet return policy which can be found here. My wife has had a Deep Brain Stimulation procedure for Parkinson's Disease. This is a procedure that installs two wires deep in the brain that are attached to a pair of computer/battery packs. There is an electronic signal that goes from the packs to a particular part of her brain to eliminate parkinson's tremor. She also has sleep issues that are very debilitating and I want to make sure that there is NO electronic interference by this Sleep Shepherd product. Can you tell me one way or the other. The Sleep Shepherd does not emit any electrical signals. The only input is an auditory tone through two speakers embedded into the hat (essentially the same risks as a pair of headphones). The Sleep Shepherd has passed all FCC and CE regulations for 'unintentional emitters'. However, a device like this will almost certainly affect the efficacy of the Sleep Shepherd as it is literally reading tiny voltages being produced by your brain. A device like this will almost certainly cause our algorithm to act erratically depending on the voltage frequency and amplitude emitted by this device. I'm curious have you received any feedback on the use of this product with people on the autistic spectrum? Many of our customers do indeed fall within the autistic spectrum. We have gotten great feedback from a few individuals. However, as with any specific ailment, effectiveness is based on a case by case basis. I've had trouble sleeping for many years. I was diagnosed with Hashimoto's Thyroid disease in my mid-thirties. Taking medication has helped clear the fogginess during the day, but my sleep isn't good. I always wake up feeling tired. I recently started wearing a fit bit and according to its sleep report, I'm "awake" up to 18 times a night. No wonder why I'm tired in the morning. Thing is, I'm not fully awake, I do realize I'm awake some times, but not 18 times a night! I'm tired of being tired and don't want to be on an additional medication. I would love to try this hat. My question, if it doesn't work for me, can it be returned for a refund? Thank you! Hi Cheryl, thanks for the comment. I'm very sorry to hear about that. I can't imagine how difficult that must be. To answer your question, yes. If Sleep Shepherd doesn't work for you, you can return it for a full refund. You can find the info here. Definitely give it about a week though. It can be an adjustment wearing a hat to sleep, but once you get used to it, you'll see how effective it is. @Mike I live in Canada. Do you have a Canadian distributor for the Sleep Shepherd as Grommet does not ship to Canada. I have had problems with sleep for years and on a "good" night may get 2-3 hours of sleep - not healthy at all. This sounds like it might be the answer to my problem and certainly worth a try. This is because the FitBit only monitors the movement of your wrist (if you have a camera with a night vision setting, you'll notice pretty quickly what a terrible way this is to estimate sleep quality). It is more likely than you are just moving around a lot while you sleep. 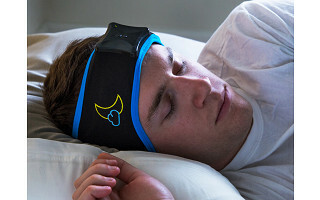 The Sleep Shepherd uses both real time brainwave data and motion data to determine the precise tone combination necessary to attempt to slow your brain down without the use of drugs. We would love to have your try the Sleep Shepherd! General returns are subject to The Grommet return policy which can be accessed in Mike's comment above. Our customer base does comprise a large amount of migaine, headache, and head pressure sufferers. While everything involving sleep is on a case by case basis, we have seen great success so far. Do you take returns if this does not work for someone? Sorry, I just saw the answer to my question above. Does this product help with slow-wave sleep, or is it only for falling asleep? I suffer from narcolepsy and have a hard time with delta wave sleep. I'm trying to avoid being put on hard-core medication, so anything natural that increases delta waves would be amazing. The Sleep Shepherd is primarily for sleep latency, however does offer sleep maintenance effects as well (the difference in tone frequency enters into the delta range before shutting off). While the Sleep Shepherd is not meant to cure narcolepsy, the original motivation for the Sleep Shepherd was our Founder's daughter who suffers from narcolepsy. She has seen amazing results using the hat. She is now applying for colleges (and even manages our social media). Something our Founder never dreamed possible just a couple years ago. Thanks for the answer. I'm interested in trying out the product. I'm also interested in seeing how this technology might be further developed in the future. As someone who developed narcolepsy in high school, I can empathize with the founder's daughter. If you can pass it on to her, I was able to attend college, graduate with honors, and even achieve an MA degree, all while still figuring out how to manage my narcolepsy. I've also lived and worked abroad. She really should never let narcolepsy limit her dreams and ambitions! Thanks so much for the kind words, Sara! I often have trouble sleeping because my boyfriend snores really loudly. Is this hat effective when there are loud noises in the room? The hat itself does offer a bit of sound cancelling. The tones are also volume adjustable so you can crank it up to drown out 'ambient noises'. Joe....one final question....how is this hat powered? Is it battery ? Rechargeable? How long does power source last? And what is cost if battery operated and needs replacement? Guess that's more than one question....sorry! Hi Valerie, thanks for the question! Feel free to ask as many as your heart desires! The battery is rechargeable with a micro USB cord. And the battery is designed to last through the night. That's like 4 questions... but all good! I have suffered with lack of sleep issues for years and this sounds like it might be the answer to my problems. I live in Canada and Grommett does not ship directly to Canada. By using their suggested method of shipping through a third party the cost is an additional 125.00 (274.00) which is non refundable if the Sleep a Shepherd doesn't work. Is your company thinking about a Canadian distributor or can I order the Sleep Shepherd directly from your company? Hi Carol, I'm sorry to hear of your sleep issues and I hope Sleep Shepherd provides you with a solution. Sleep Shepherd does ship to Canada. You can get in touch with Joe about that via our Customer Experience team here. I have a 50% hearing loss in one ear and a 25% loss in the other, therefore I wear hearing aids. Would I be able to successfully use this device? Would the tones be loud enough for me to hear? If your hearing aids adjust your relative hearing so they are 'about equal', the Sleep Shepherd should work just fine (assuming you wear your hearing aids at night). The volume is adjustable. I see a sleep doctor and use a c-pak machine. asleep without turning the radio back on, then I'm good for a hour. that my insurance would pay for at this time or possible in the future? The Sleep Shepherd is compatible with most CPAP mask styles. The product is being marketed as a purely consumer device at this point, and is thus not covered by insurance. Has this hat been tested for fibromyalgia, chronic migraines or brain aneurysms? Although the Sleep Shepherd has not been specifically tested for these ailments, we have seen success with many of our customers who suffer from these symptoms. The Sleep Shepherd could only help distract you from the symptoms of nervous/restless leg syndrome. Its effectiveness would be dependent on severity obviously. How loud will this be to the wearer's partner sharing a bed? The speakers are embedded right over the ears in a fabric pocket so your partner will not be able to hear the tones. This is a long thread so sorry if I missed this question addressed elsewhere, but is the sound from the Sleep Shepherd audible to those around you who are trying to sleep as well? Just last night my wife said she wished there was something that could help her brain shut off so she could sleep and today I see this!! She hates the thought of using sleep meds and possibly becoming dependent on them so this sounds like something I would be VERY interested in giving it a shot to help her. Thanks for any response. Hi Jeff, no worries and thanks for the question! The speakers are right over the ears in the fabric pocket so those around you will not be able to hear it. I hope your wife finds success with this! Can this be used on toddlers and kids? The Sleep Shepherd is intended for adults but is as safe as using headphones (some might say safer is what's coming through the headphones is say, Justin Bieber). The bigger concern is whether or not a 'small' size would fit. If their head circumference is below 50 cm, the hat will likely not stay on. We have considered coming out with a Sleep Shepherd Baby for this very reason. Oh man! Yes, a baby version would be amazing. From the pictures, this does not appear to cover the eyes. I have had problems sleeping all my life as my mind always seems to be going non stop, but I also have an extreme sensitivity to light - I have to cover my eyes with a pillow or mask. Has there been any thought about altering the hat as to have a fold down design to cover the eyes if so desired? This is a great suggestion, we have actually had quite a few internal battles as to whether or not to include this feature into the next version of the Sleep Shepherd. We will put you in the 'yes' column. Until then, the hat is compatible with most sleep masks. Hi! How does this affect someone with sleep apnea, or on oxygen? Is there a benefit? While the Sleep Shepherd does not have any affect on the actual causes of sleep apnea (either obstructive or central), the technology can help alleviate the discomfort of wearing a mask by giving your brain something new to focus on. The Sleep Shepherd is compatible with most CPAP masks. do you know if your product or any other product works for restless leg syndrom? Hi Jeri, thanks for the question! Joe mentioned above that it could only help distract you from it. The effectiveness would depend on the severity. Does it work on hearing impaired people? Hi Donna, great question. If you can discern a different sound in each ear, yes. That will create the phenomenon necessary. If you're using hearing aids and you adjust them so they are equal, you should also be ok.
Has this Been used to help people with miagrains relax and sleep? Hi Glenn, a large number of Sleep Shepherd customers deal with migraines and have found success, but it has not been specifically tested to treat them. The Sleep Shepherd is a wearable, all natural sleeping aid. It’s a cap that uses a faint audio signal to lull you to sleep, and monitors your brain activity to help keep you there. The audio signals create a reaction that the Founder calls the “virtual hammock effect.” The hat emits precise tones into your ears that mimic a sound swaying back and forth. As your brain deciphers the difference in frequency coming from either ear, this creates the effect of a slow rhythm. Your brain starts to follow that and slows down, and the Sleep Shepherd automatically adjusts the individual tones using a biofeedback loop. Throughout the night, if you wake up or your brain starts ramping up again, the Sleep Shepherd responds. It reintroduces the tone to slow down your mind and keep you snoozing. Sleep is a subject that kept Founder Dr. Michael Larson, Ph. D from MIT, awake from time to time. His daughter suffers from narcolepsy, and her prescription drugs often kept her awake for hours. He wanted a drug-free way to help her fall asleep.